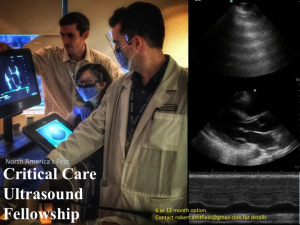 A one month elective opportunity in critical care ultrasound is available for select trainees at Western University/LHSC under the supervision of Dr. Robert Arntfield. 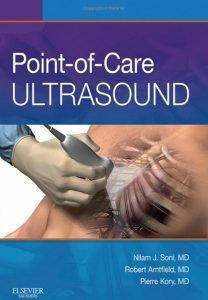 The purpose of this rotation is to familiarize the learner with the applications and indications for critical care ultrasound while also participating in the daily care of the critically ill patients at LHSC’s Critical Care Trauma Centre (CCTC). A combination of online and offline supervised scanning, e-learning and portfolio development will enable the motivated participant to achieve foundational skills in this explosive field of medicine. Interested residents at LHSC may contact Rob Arntfield (through his assistant here) for further information. Both local trainees and those from other centres in Canada may participate in this novel elective rotation. The objectives of this rotation are here for your browsing.